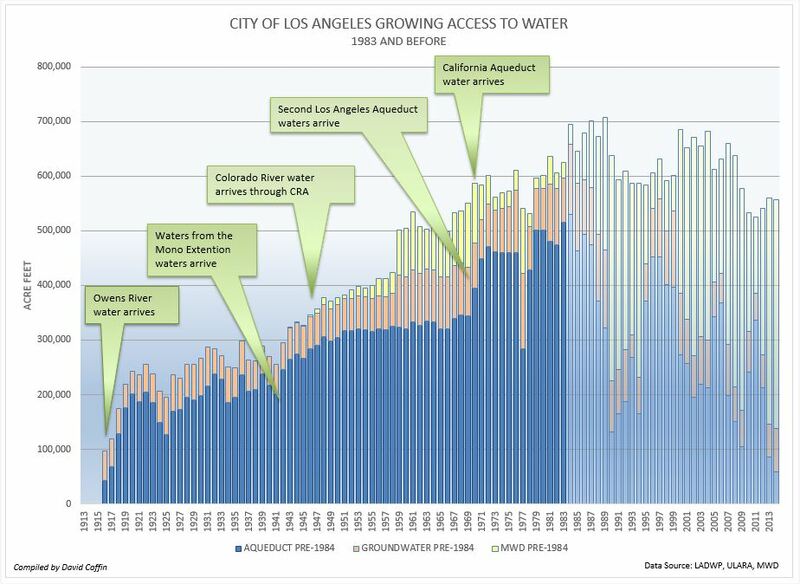 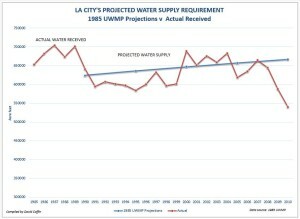 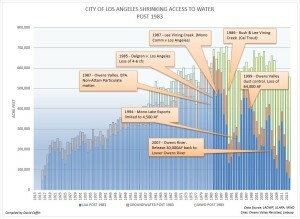 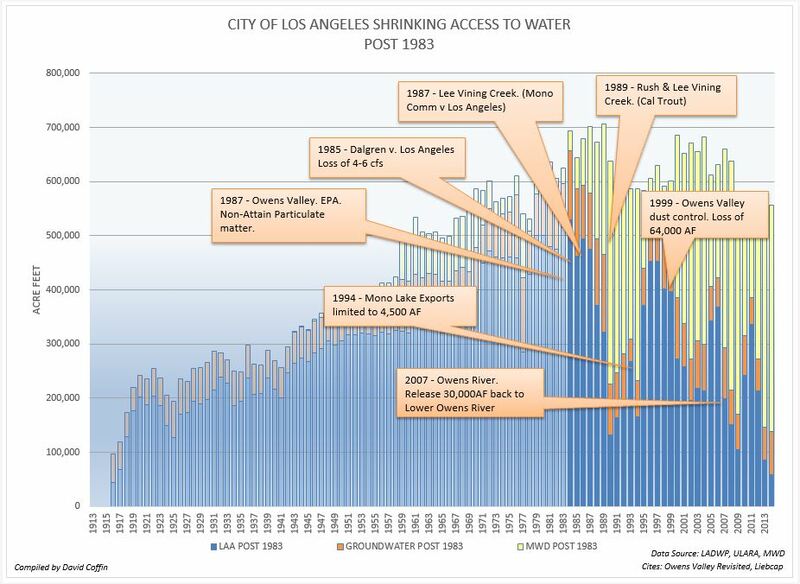 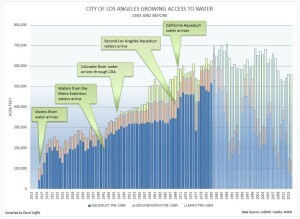 January snapshot of L.A.'s water supply over 19 months shows huge a dependence on MWD water. 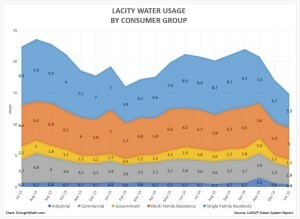 LADWP reports in January that Single Family water use dropped 13.8% from 1 year ago and city-wide overall water use dropped 14.3% from last year. 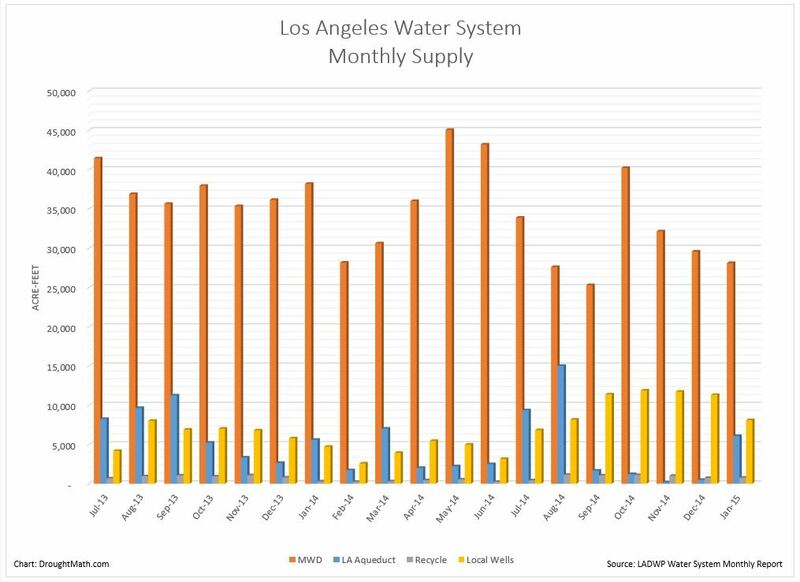 Note: Spike in Industrial and Governmental for November 2014 was due to LADWP billing issues. 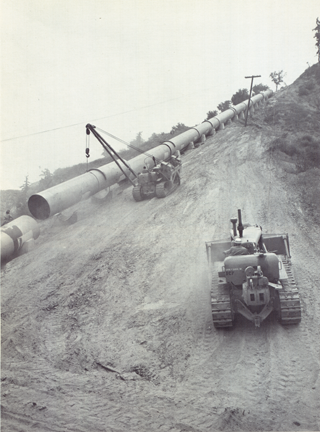 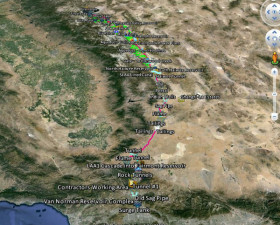 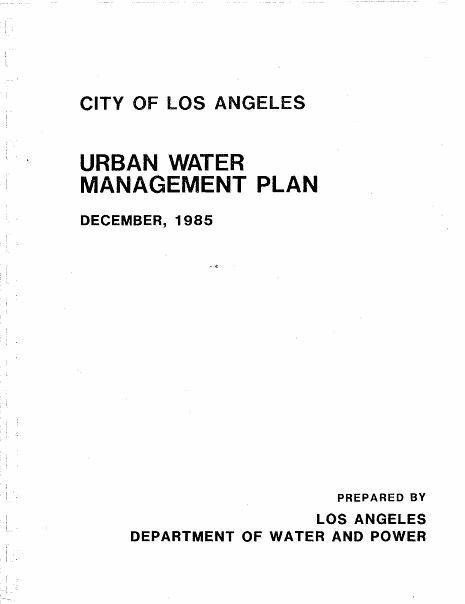 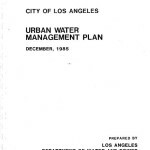 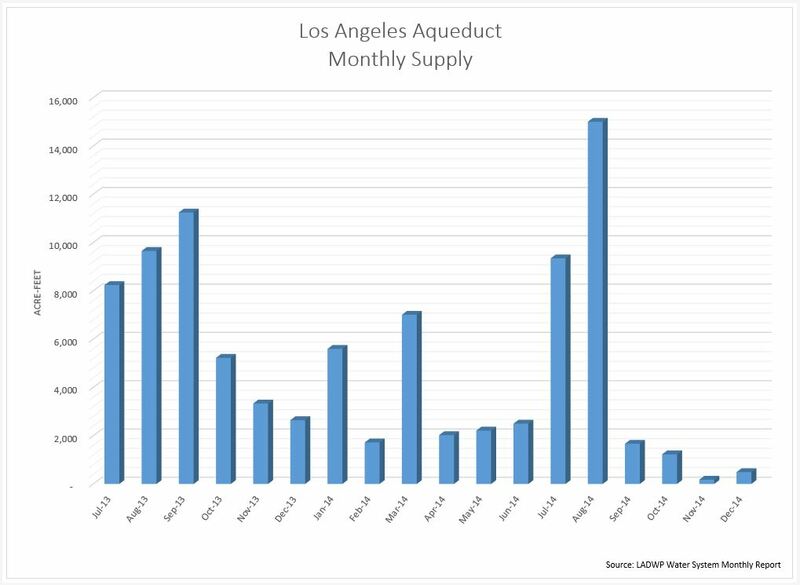 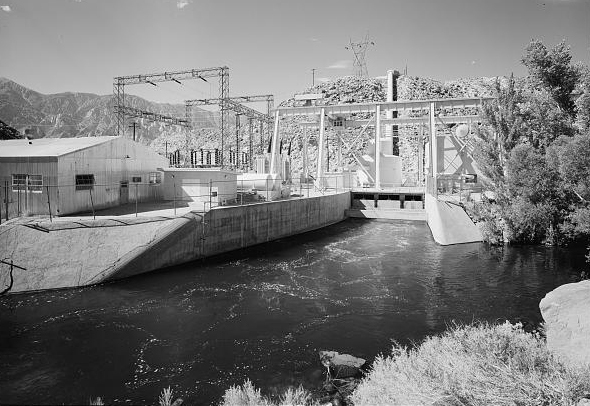 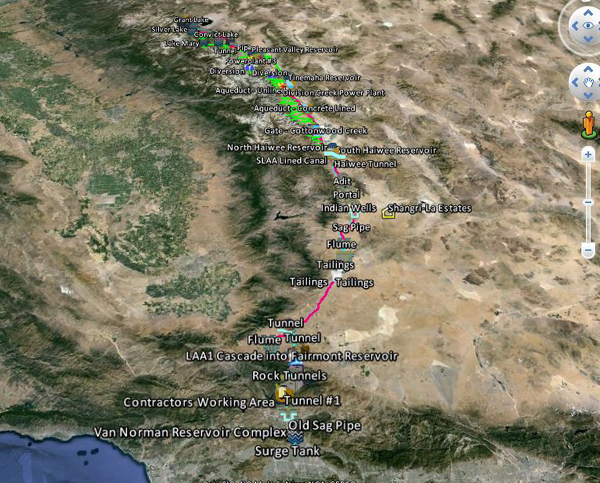 The twelve month period ending in December 2014 for the Los Angeles Aqueduct is at the lowest deliveries that I could find on record at 48,966 af. 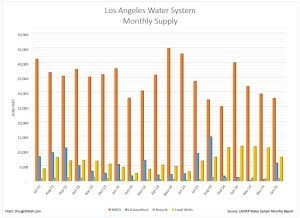 Los Angeles Aqueduct monthly supply in November (178 af) and December (492 af) has fallen even below the recycled water treatment levels for the same month at 773 af and 676 af respectively. 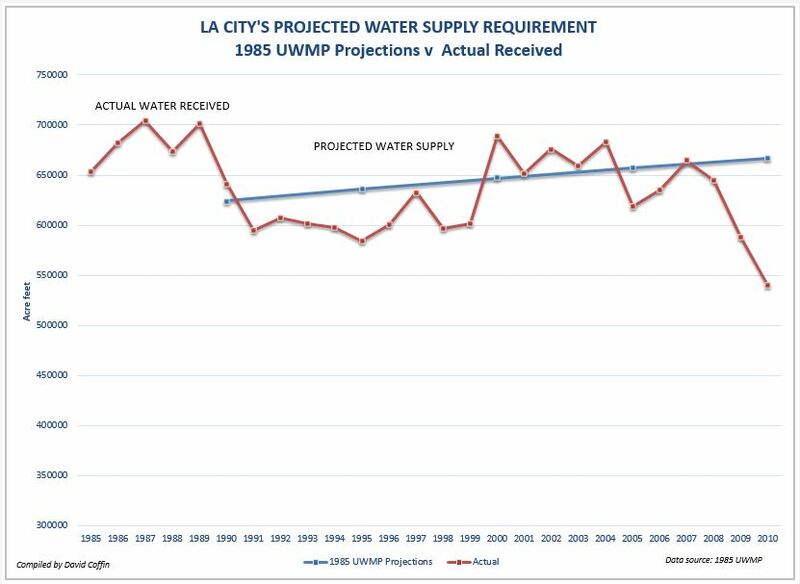 The good news perhaps is that the December LADWP reports that city-wide overall water use was 24.3 lower than the base year and 16.7 percent lower than the prior year.